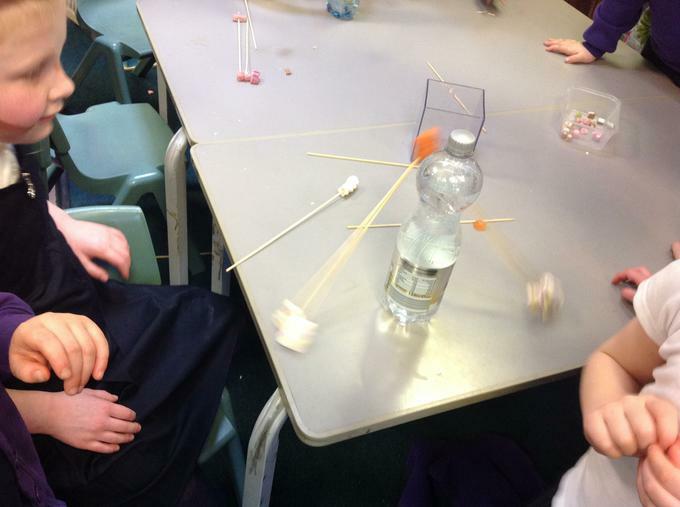 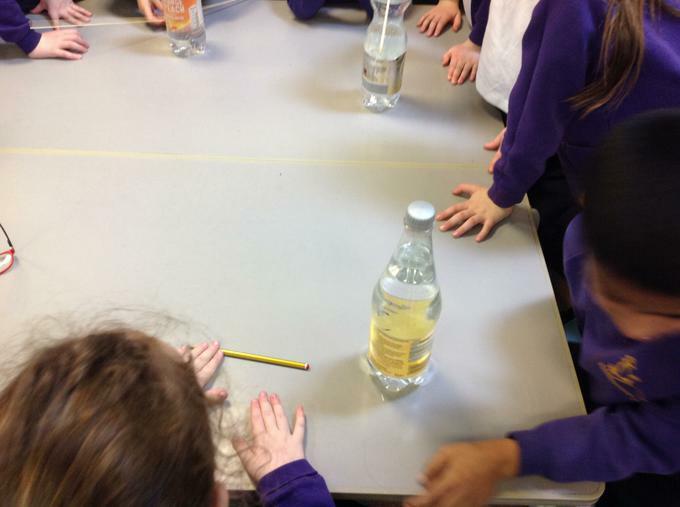 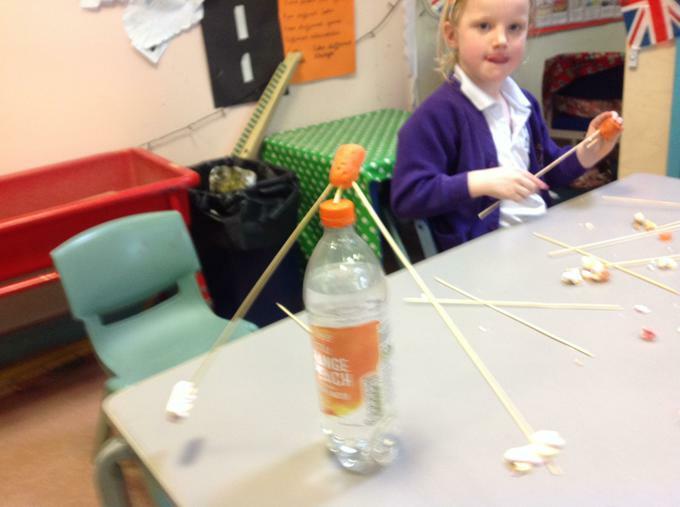 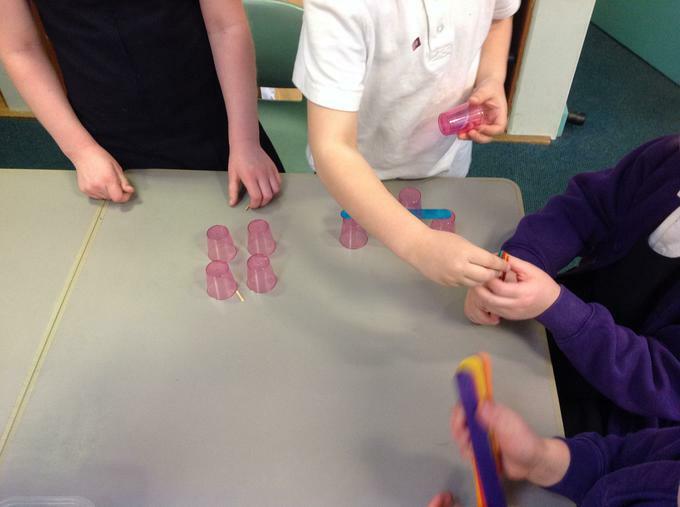 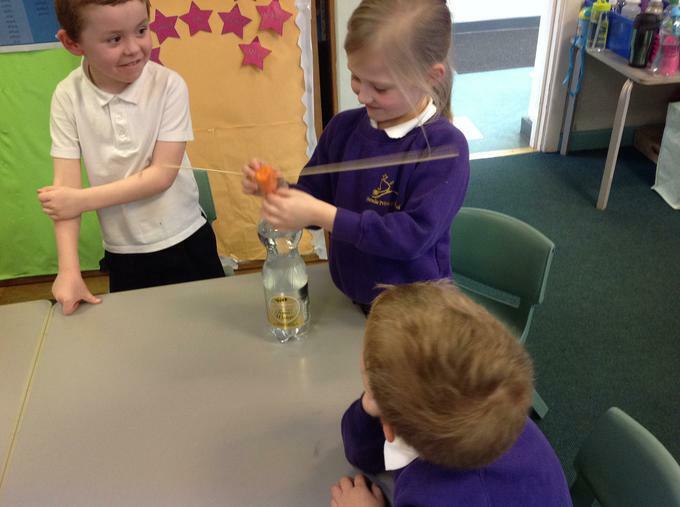 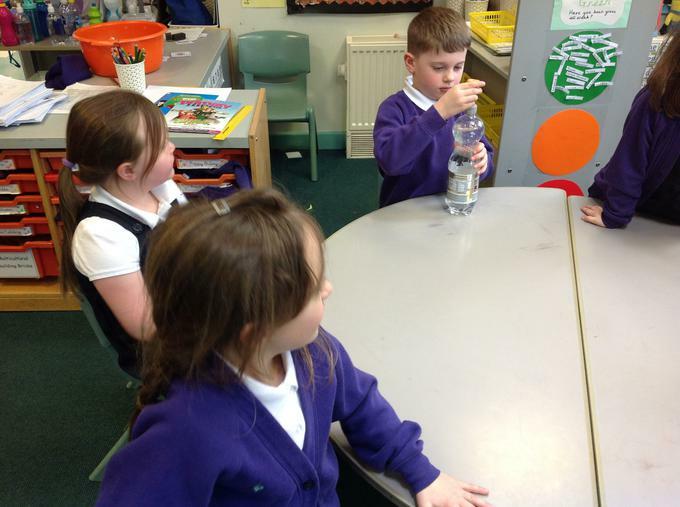 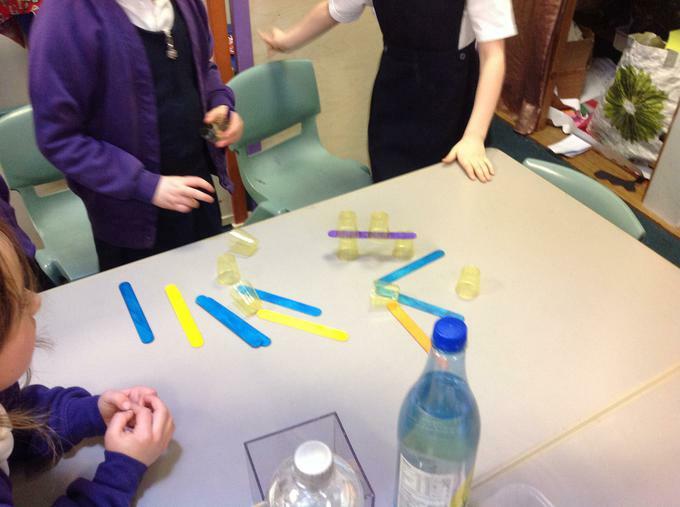 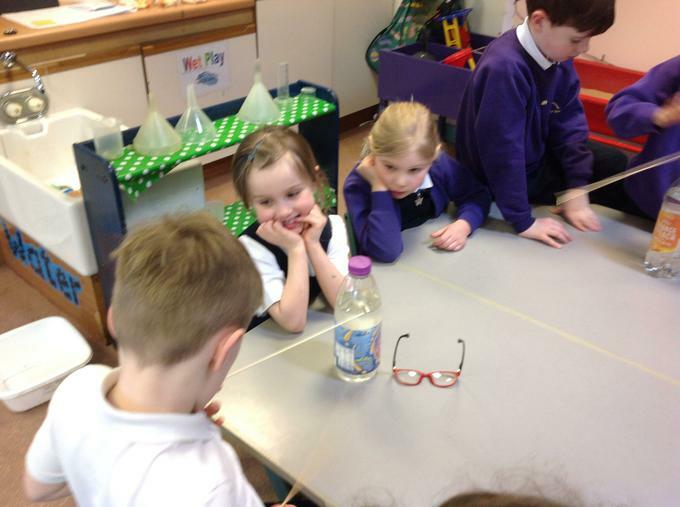 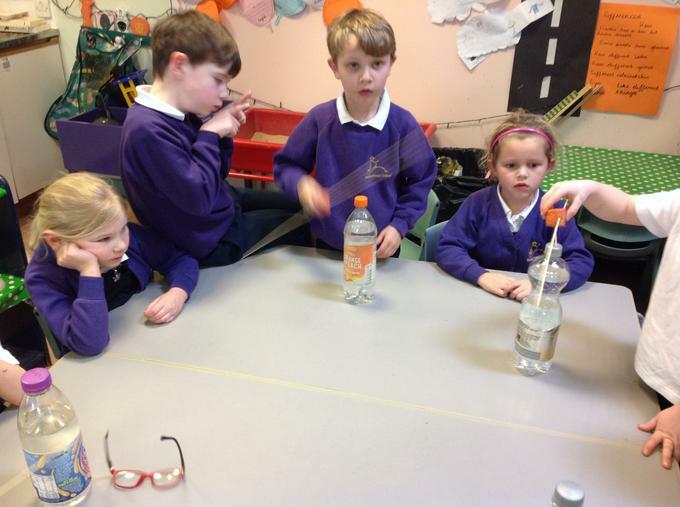 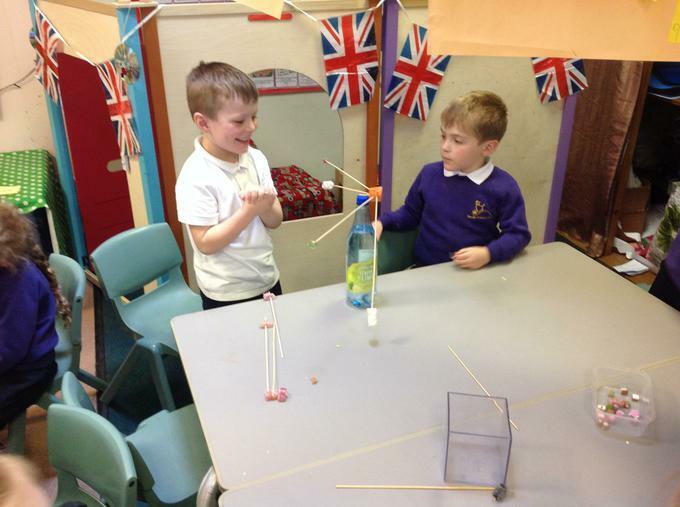 During our science afternoon we investigated balancing and center of mass. 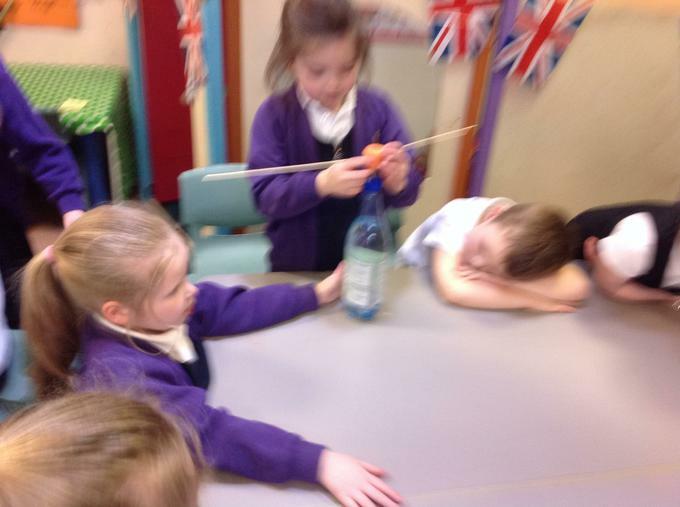 Firstly we tried to balance the carrot by using a single stick... We found this impossible!! 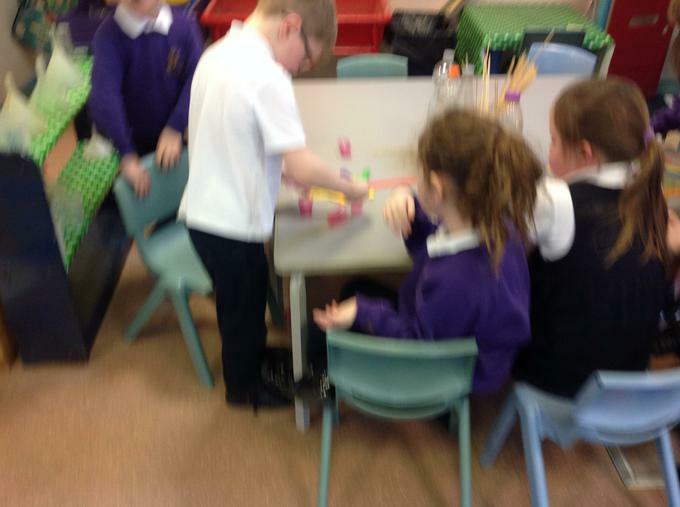 Next we added two addition sticks. 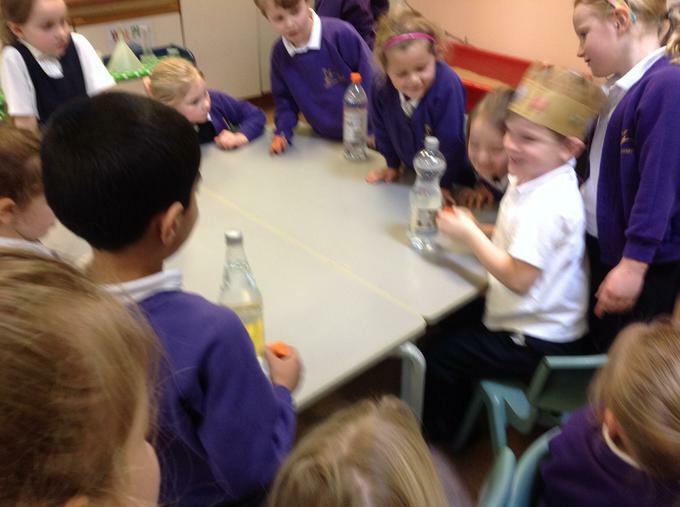 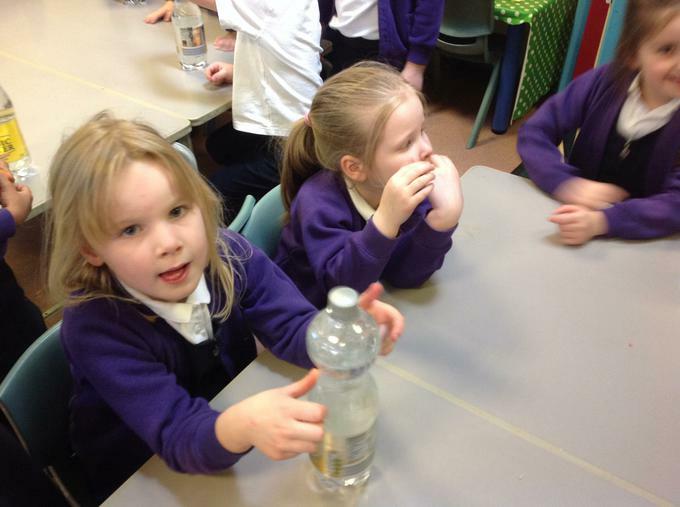 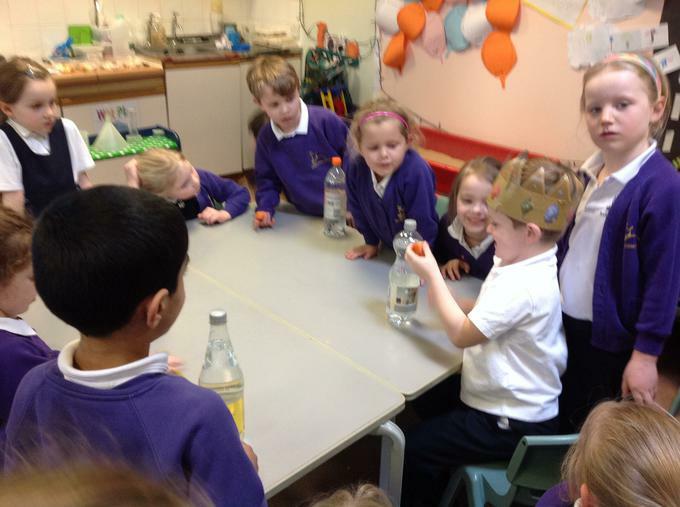 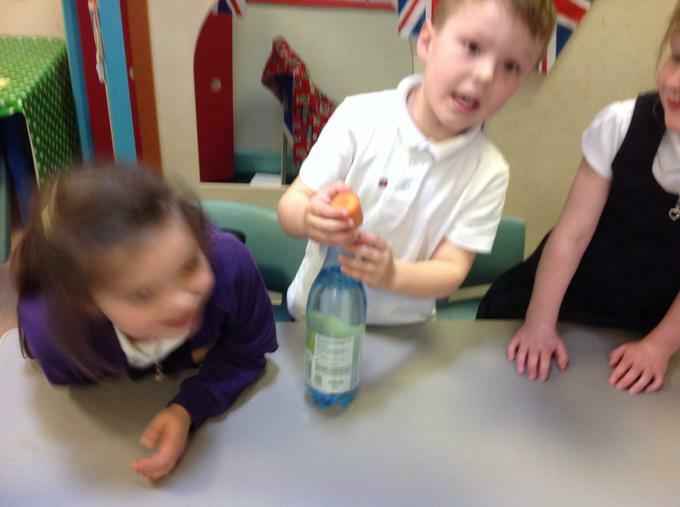 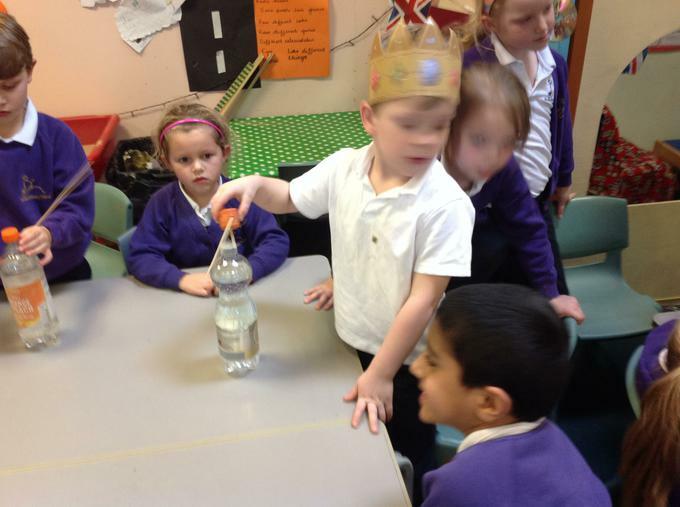 We still couldn't get the carrot to balance on top of the bottle. 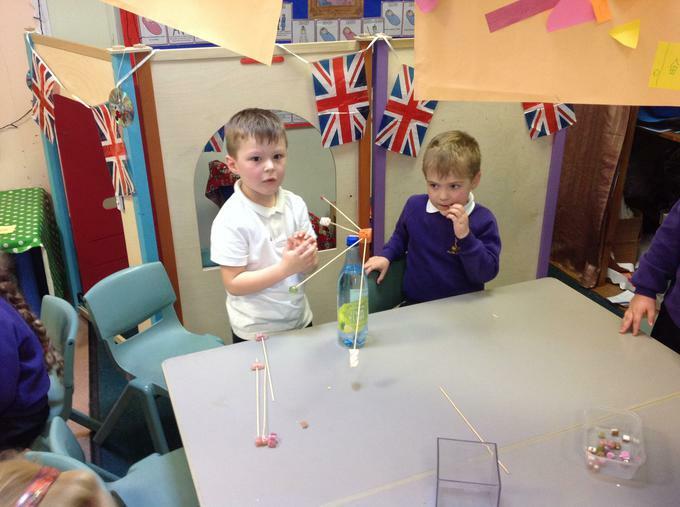 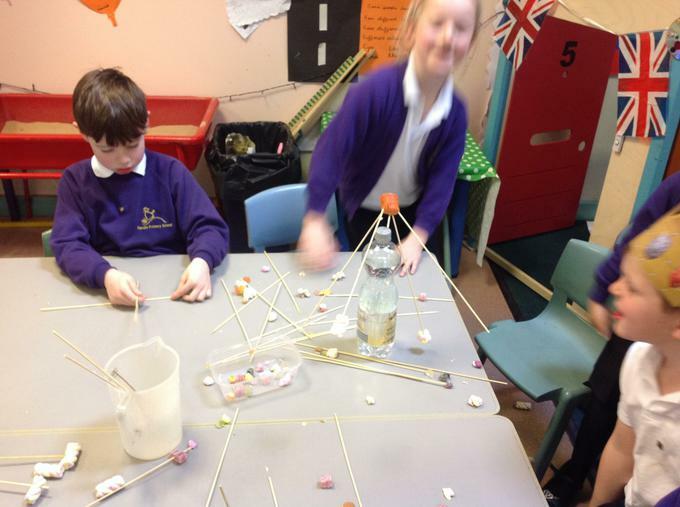 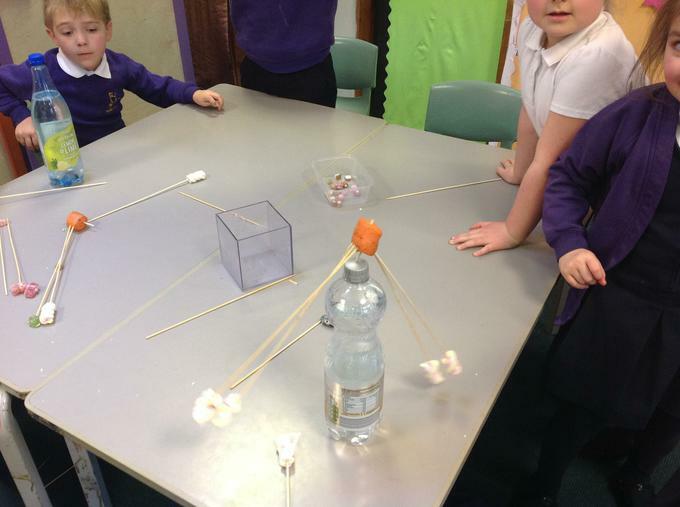 Lastly we tried adding weights in the form of sweets to balance the carrot. 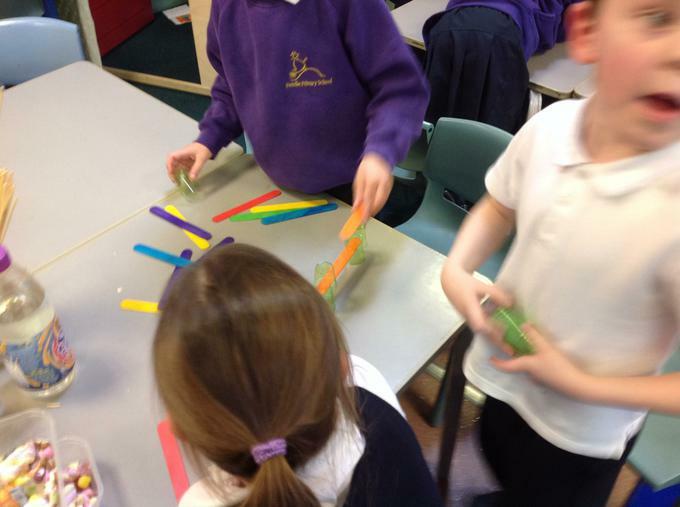 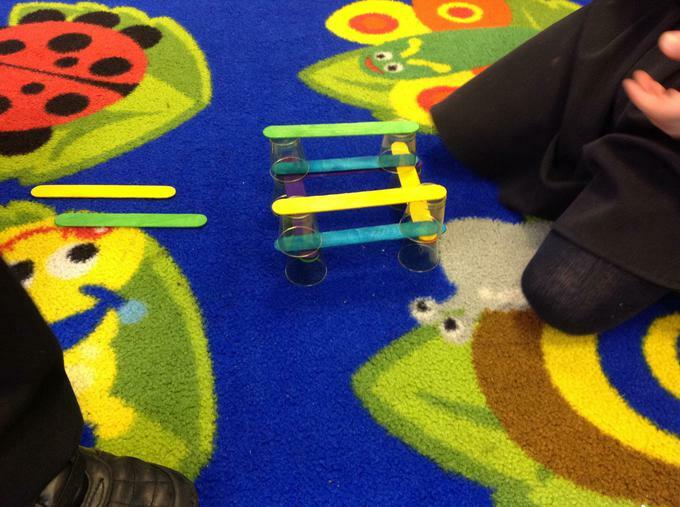 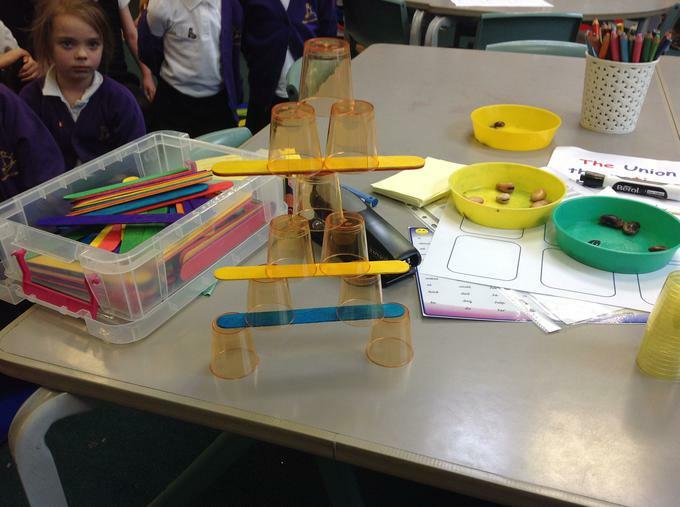 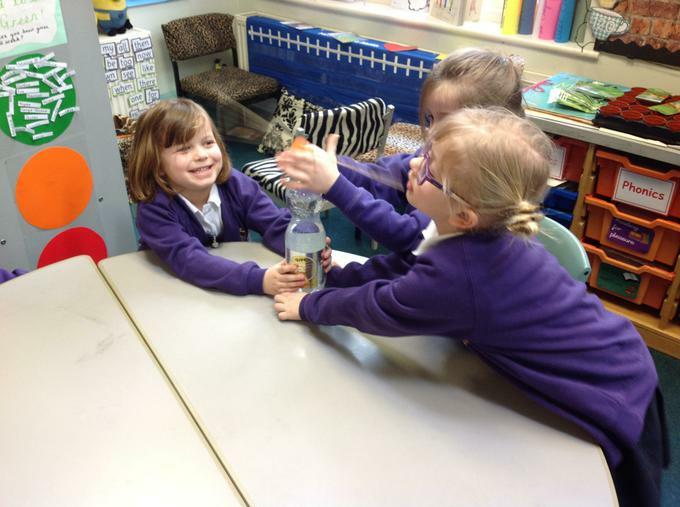 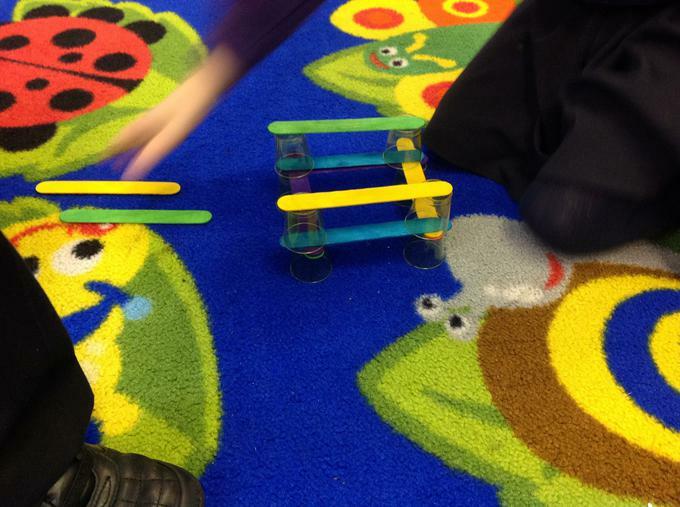 We were able to use the weights to create a range of balancing sculptures.